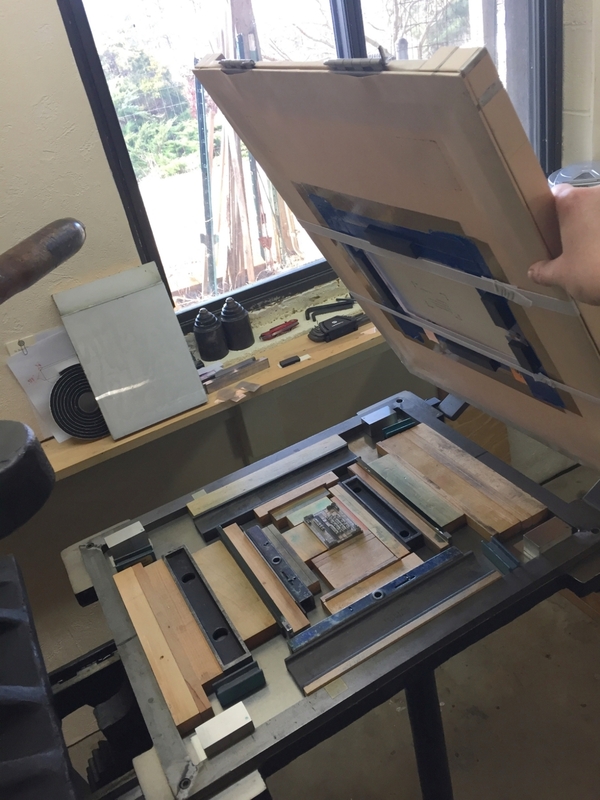 One of our chief passions here at the Press is traditional letterpress printing — using some of the techniques, equipment, and materials that have been used since Johannes Gutenberg and his team first developed moveable type and printing presses in Europe around 1450. 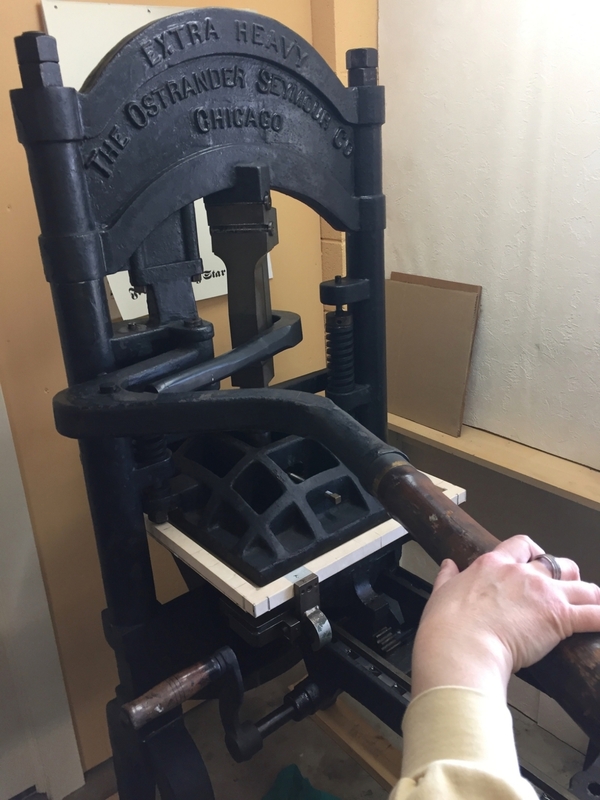 We enjoy being a part of that long historical lineage, learning the skills and passing along the wonder of the printed word. 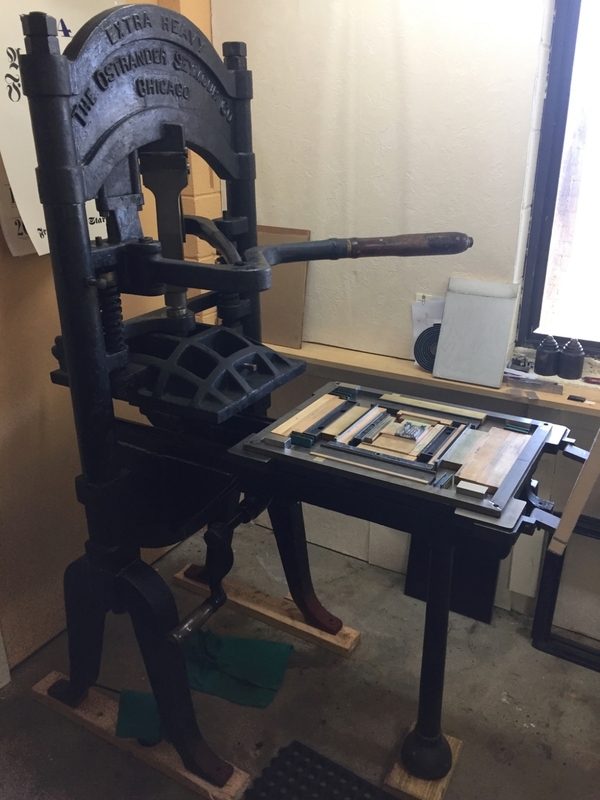 Our latest project, a little chapbook of poems called “Reverie,” has given us the opportunity to produce a book entirely on the circa-1915 iron handpress, affectionally named “Ben” (for Ben Franklin, of course). 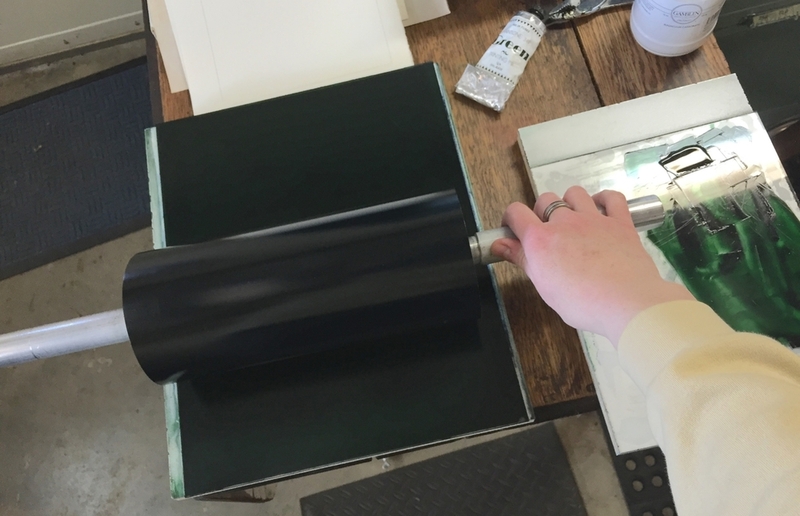 Here is a series of photos that will walk you through the printing of one sheet of one poem for this one book. By the time we finish the edition, we will have enacted this same process about 1,260 times. Good thing we love what we do! "Ben," our circa-1915 iron handpress. ...locked up securely on the bed of the press. Next we hang the paper-to-be-printed on the tympan. 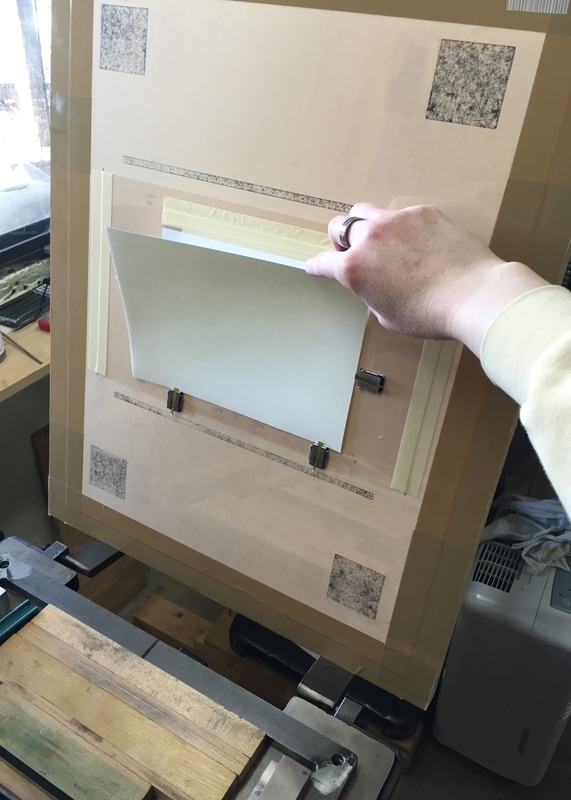 ...which protects & holds-in-place the paper to be printed. ...and carefully roll it over the type to ink the letters. ...and roll the bed under the platen (heavy iron piece with "waffle weave"). 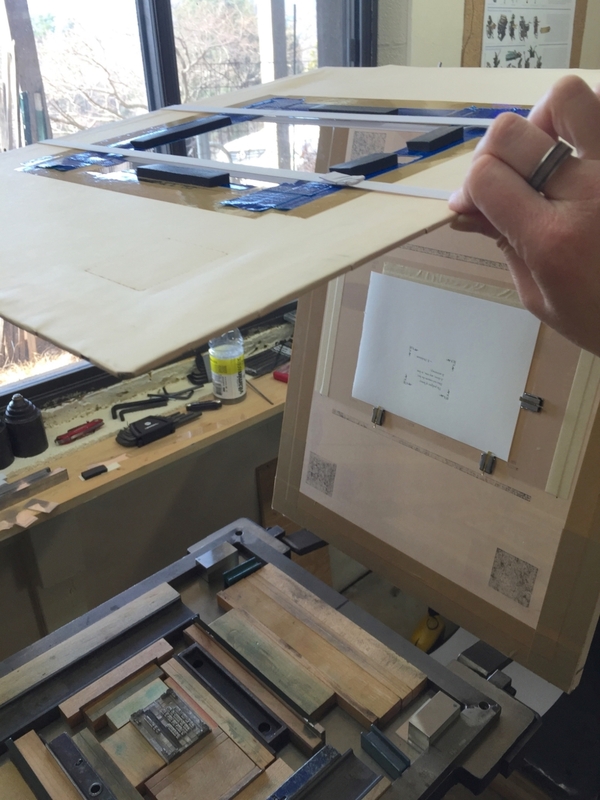 Now we pull the bar, transferring downward pressure so the paper finally meets the inked type underneath. We roll the press bed out again, and begin to lift up the tympan & frisket. ...a poem has been printed! Hooray! !